Whether you recently quit your job, or you’re one of the 2.8 million Americans planning on quitting your job in the months to come, you need to be prepared for what’s coming next. Once you launch yourself into the exciting (and scary!) 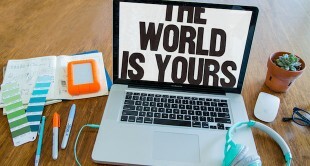 world of self-employment, what you do your first week is a catapult into the rest of your career. In my experience, most people neglect mapping out what happens right after you give notice and wrap up those last two weeks. As you prepare to embark on your first week of self-employment, it’s very easy to be overwhelmed with stress, get burnt out, or begin heading down the wrong path. What do you do with yourself? How can you ensure a productive start to this transition? Does the hustle need to happen right away? As a day job quitter back in 2010, and as the instructor of the upcoming Ditch Your Day Job class on CreativeLive, I’ve been here myself and have helped hundreds of others through this transition. Here are 5 things that you need to do in order to ensure a successful first week of self-employment. 1. Write a Welcome Letter on Behalf of Your CEO. You’re going to write a letter from the CEO of your company (which is you) to the first employee of your company (also you), sharing everything relevant to your job. Include your company’s goals, values, job expectations, backstory, and unique position in the marketplace. Don’t be afraid to keep the tone casual and the responsibilities on par with your ideal work schedule. Do you want to take Friday afternoons off? How about calling it a day no later than 7:00pm? Write those both in your letter. When you’re done, keep the letter in sight and read it first thing every day this week. It’ll help you get into a work mode and stay accountable to yourself. 2. Schedule Yourself Some Down Time. The first week my husband went freelance, he put lots of pressure on himself to be productive all the time. He had to find a gig, email all of his contacts, and update his website, all seemingly overnight. I told him he should catch up on his sleep every day, turn off the alarm clock, and play video games for an hour or two. You need to recharge, and I promise that you won’t be missing anything if you take each morning or afternoon this week to do something relaxing to reset your energy levels and get motivated. 3. Set Up a Dedicated Workspace. Even if you live in a 300 square foot studio, you need to refrain from working on your couch or from your bed. Figure out where in your home may be a designated office or work area. Clean out the garage and set it up with a desk and some shelves. Make a closet into a home office. Whatever you decide, make it yours and make it inspirational, motivational, and functional. Frame your company logo and hang it up. Put pictures of your loved ones around, as a reminder that you’re being cheered on. Make it a space you’re thrilled to walk into and wouldn’t be quick to leave. 4. Experiment With Time Management. It’s a bit strange to not be constricted to working a set number of hours in a day, and not having anyone to report to. With that strangeness usually comes overwhelm, and pressure to work traditional hours like that. But it’s so great to be the boss, and now is a great time to experiment with finding your own best productivity structure. If you know you’re the most creative from 4:00-7:00pm, and you’re useless before 11:00am, then do your admin work in the morning and do your more impactful work during your peak hours. Try to do something different each day and see what works best. Then, discard what’s not going well and build on what does. 5. Hold a Planning & Review Meeting at the End of the Week. Each Sunday night, I take about an hour to review last week and plan for the week ahead. What were my wins? What would I change? If you haven’t done so already, create a goal card for yourself and begin tracking your performance against the goals you’ve set for yourself. Then, I skim my project management tool for the following week and make sure no day is too packed. Spending an hour to do this activity each week moving forward, will set you up for success – instead of spending your days working with your head down. 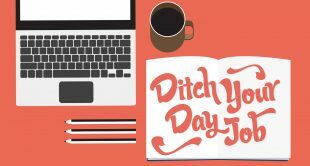 Join me for Ditch Your Day Job on June 11-12th to learn how to prepare for quitting your day job, and how to launch a successful business for yourself. 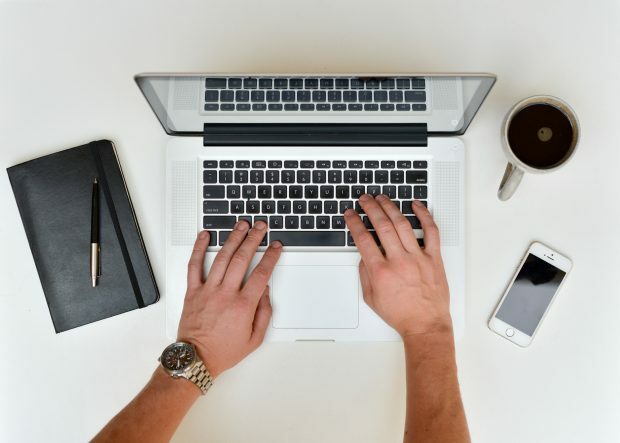 Check out some of my favorite tools and services I use to run my business. Batchbook, Breather App, and Bidsketch. When you join my class this week, you’ll get exclusive free trials and credits with them! Michelle Ward helps creative women get out of their soul-sucking jobs & into work that feels like play!